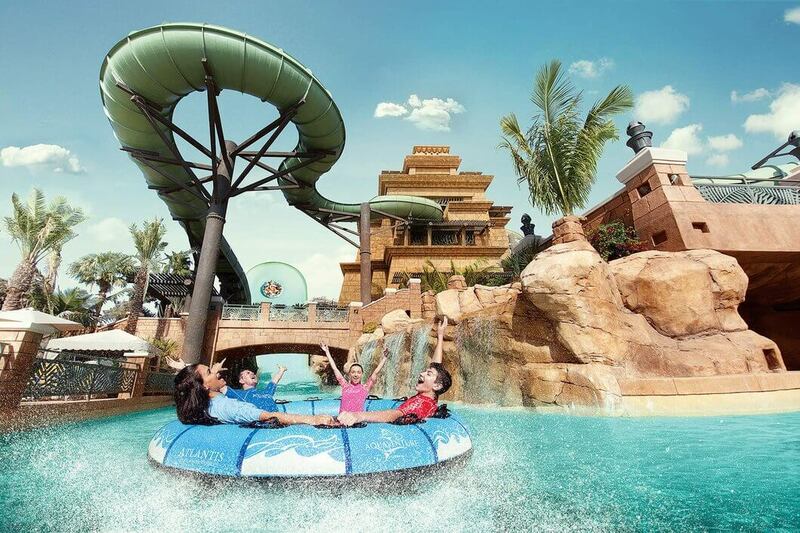 Take a tour to Aquaventure Waterpark for an action-packed day out amid adventurous rides, exhilarating slides and Master Blast water coasters that propel you up and down on streams of water, prior to rolling you down along tunnels and finally freeing you into the river. 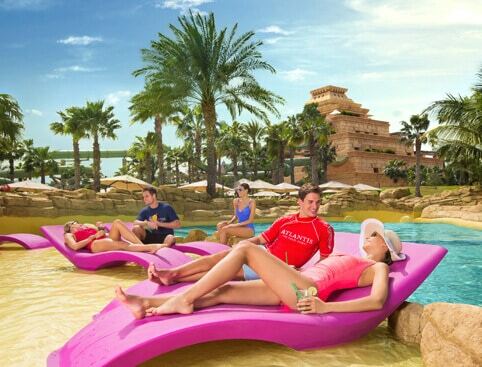 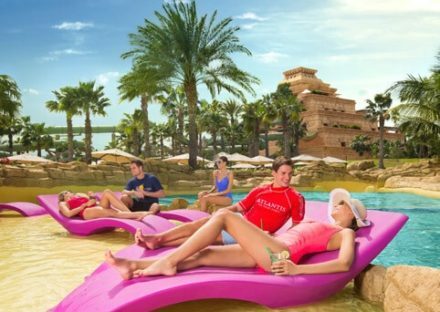 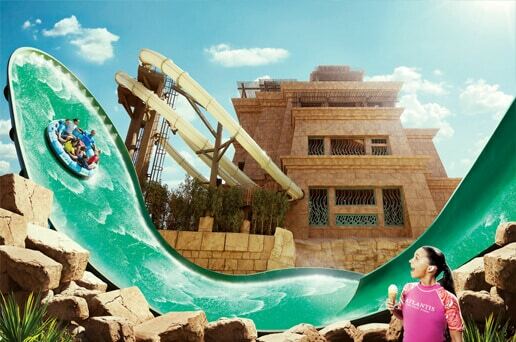 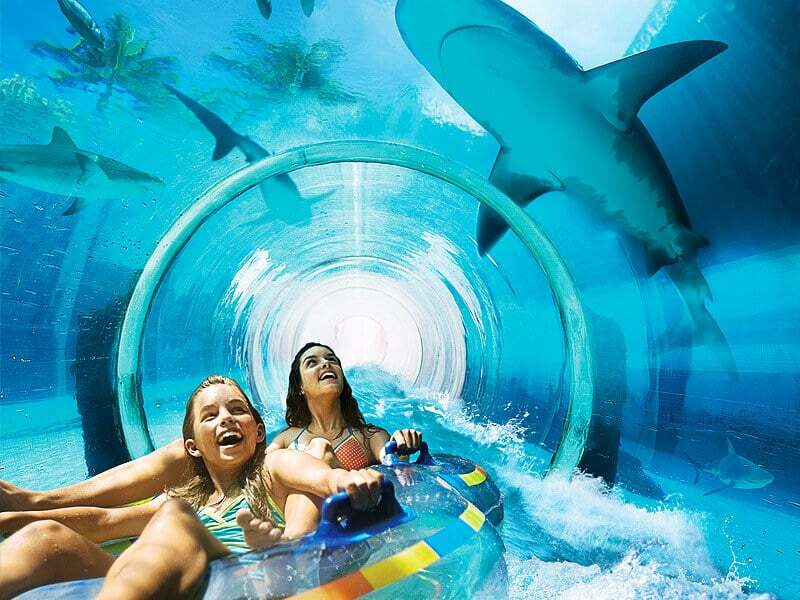 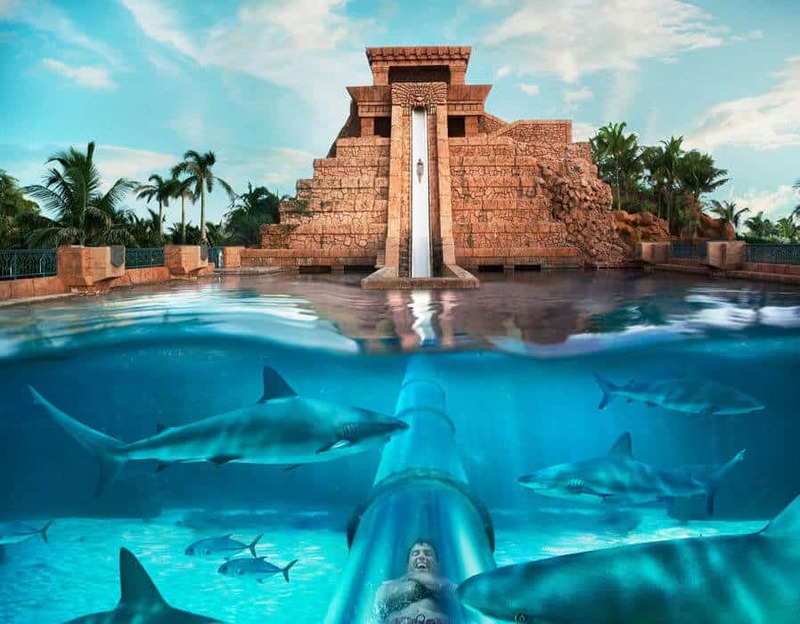 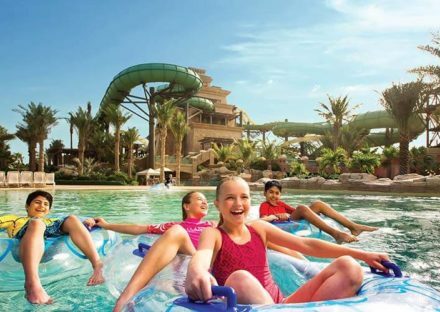 Occupying an area of about 42 acres of land on Palm Jumeirah – one of the key man-made attractions in Dubai, Aquaventure is the Middle East’s largest water park that offers ultimate in family fun and entertainment. 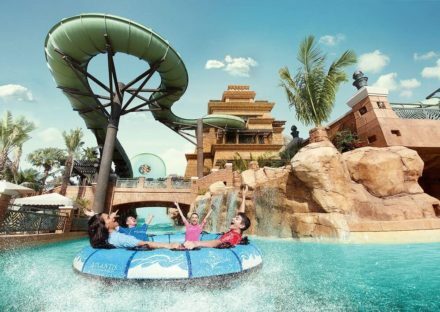 As well as, the park offers a thrilling segment to allow you to indulge in a slew of marine adventure activities, such as shark safari, shark snorkeling, ray feeding, and diving. 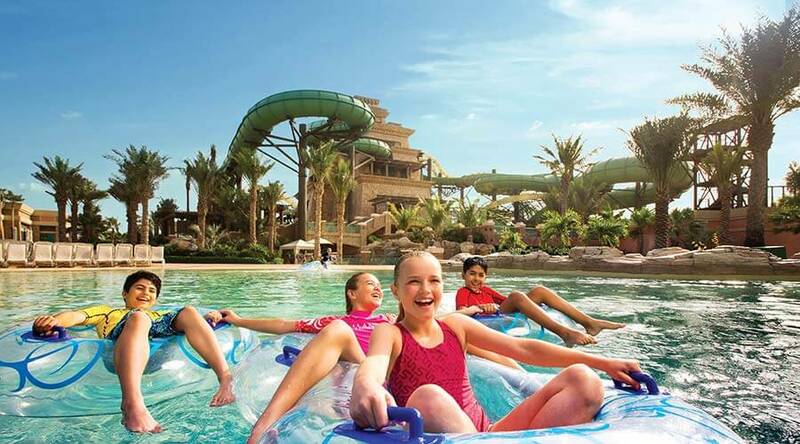 Another of the park’s highlights is Splasher – an exclusive kids’ zone with a comprehensive range of water games, slides, and climbing structures. Enclosed by the lush tropical landscape, the park also comprises a 700 meters private beach, along with facilities to enjoy a slew of water sports activities, such as sailing, windsurfing, and sea kayaking. 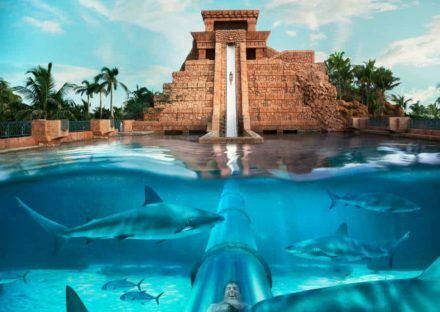 A three-hour tour to Atlantis Lost Chamber within Atlantis Hotel is a great way to gain some interesting info on the Atlantean history and civilization. 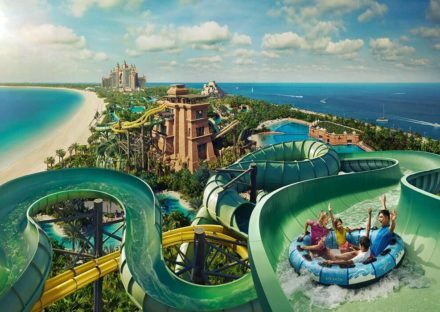 Its key attraction is a maze of passages that are considered to be the remains of the Lost City of Atlantis. 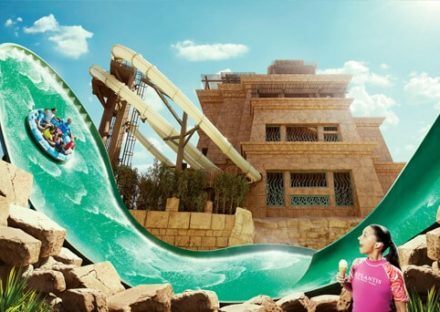 Mysteriously, this lost chamber – revealed during the construction of the resort – is thought to have been hidden under the waters of the Arabian Gulf for thousands of years. 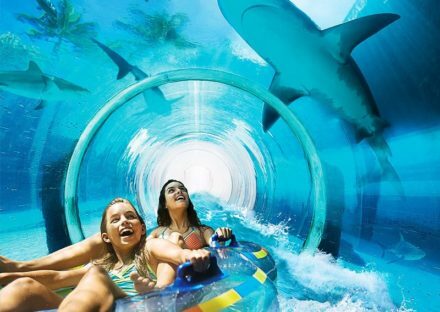 Equally noteworthy is it’s more than 65,000 exotic marine creatures that are housed within its 20 aquariums strategically placed along the fantastic labyrinth of sub aquatic halls and fish tanks of the Lost Chamber. 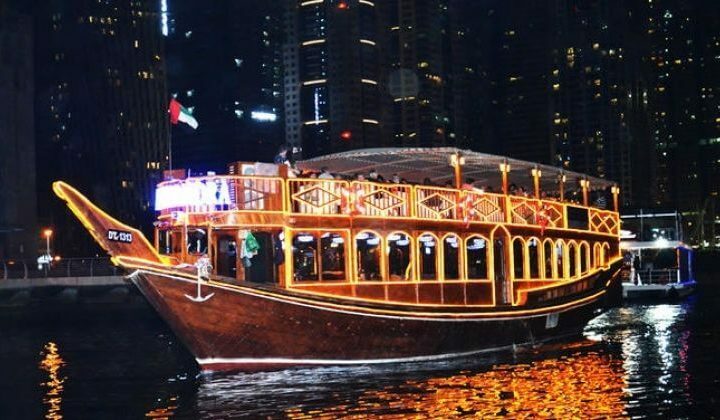 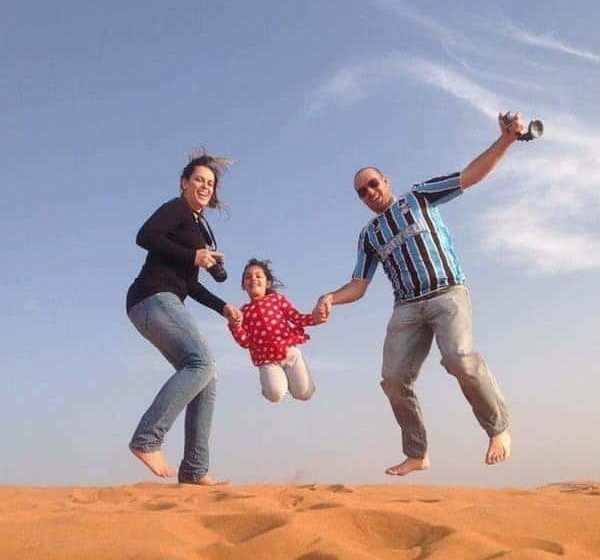 So to take a fascinating journey into the Dubai’s mystifying side, contact us today itself.